When you can't keep up with the list of NC General Assembly sludge that's been ruled unconstitutional, the Capitol Broadcasting Company helps out (see below). 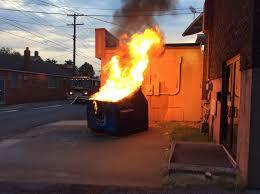 They came up with six major laws that became dumpster fires in either state or federal courts. Their list isn't definitive. They left out, for example, the North Carolina anti-abortion "ultrasound" law, and probably others. 1. The state Supreme Court ruled the legislature over-reached when it sought to control a panel set up to deal with the state’s coal ash crisis. 2. Congressional redistricting – Unconstitutional gerrymandering forced federal courts to demand a special primary election this year for members of the U.S. House of Representatives. 3. Local school board and county commissioner districts – Unprompted, the legislature redrew Wake County Commission and School Board districts, which federal courts rejected. 4. Teacher association payroll deduction – State courts found the legislature’s effort to prevent the N.C. Association of Educators from using payroll deduction to collect dues was illegal. 5. Judicial “retention” elections – The state Supreme Court rejected an effort to change direct election of state Supreme Court justices to so-called retention elections, a thinly-veiled attempt to protect Republican justices. 6. Voter ID and other ballot-access changes – In a scathing and unsparing opinion the 4th Circuit Court of Appeals just last week labeled unconstitutional and racist, a series of changes to the state’s elections laws that curtailed voting rights of African Americans.